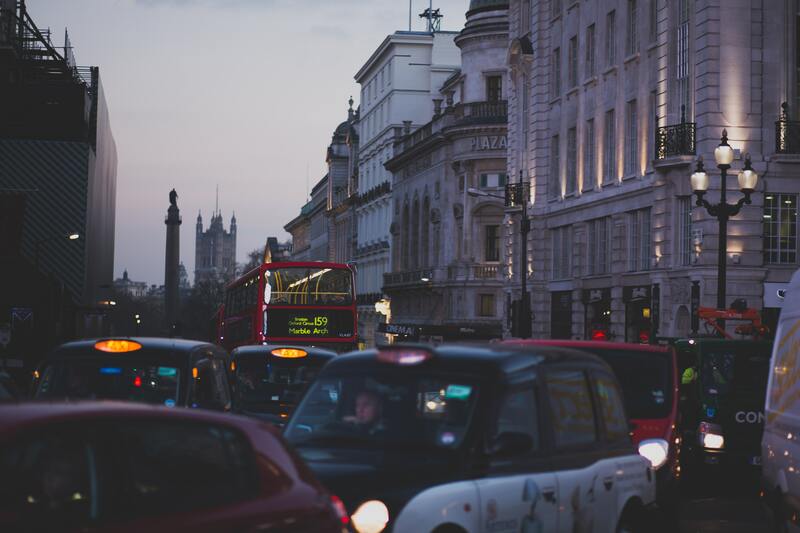 Studies from 2018 data published by INRIX have revealed that on average, drivers in the UK lose £1,317 every year from sitting in congested traffic. The top offenders being London with 227 hours lost, and Birmingham with 134 hours lost due to congestion, per driver, each year. London drivers lost up to £1,860 per year due to this congestion, followed by Edinburgh (£1,219), Manchester (£1,157) and Leicester (£1,145). Liverpool had the lowest cost of congestion among the UK cities studied at £878 per driver. The average congestion time across the UK came out as 178 hours a year, totalling a cost of £7.9 billion to drivers. This shocking data has brought attention to the issue, which if left “unaddressed, it will continue to have serious consequences for national and local economies, businesses and citizens in the years to come,” said Trevor Reed, transportation analyst at INRIX. “To directly tackle poor air quality, we are ensuring that buses, taxis and private hire vehicles are as green as possible, alongside the introduction of the Ultra-Low Emission Zone this April. With London Ranking in the top 10 worst cities for congestion out of the 38 countries assessed, it is clear that this is a cause of concern. We can expect to see large pushes on public transport, improvements to the implementation of road works, and more in order to reduce congestion time across the UK as a whole, helping to save drivers more money. £1,317 can pay for a lot of miles! For our full range of dash cams and installation options, click here. If you would like to speak to one of our experts to find the most suitable option for you, please fill in the contact form below, or give us a call on 01865 598599. Is It Worth Paying More For A Premium Dash Cam? 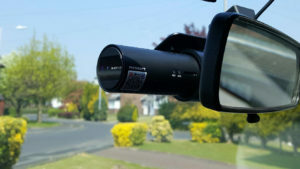 Deciding on your budget for a dash cam is not an easy task. You need to consider the features, quality, and long term functionality you will require, while also getting your moneys worth. Prices for front and rear camera systems can drastically range from £100 – £500, with additional features and quality creeping in as the price goes up. 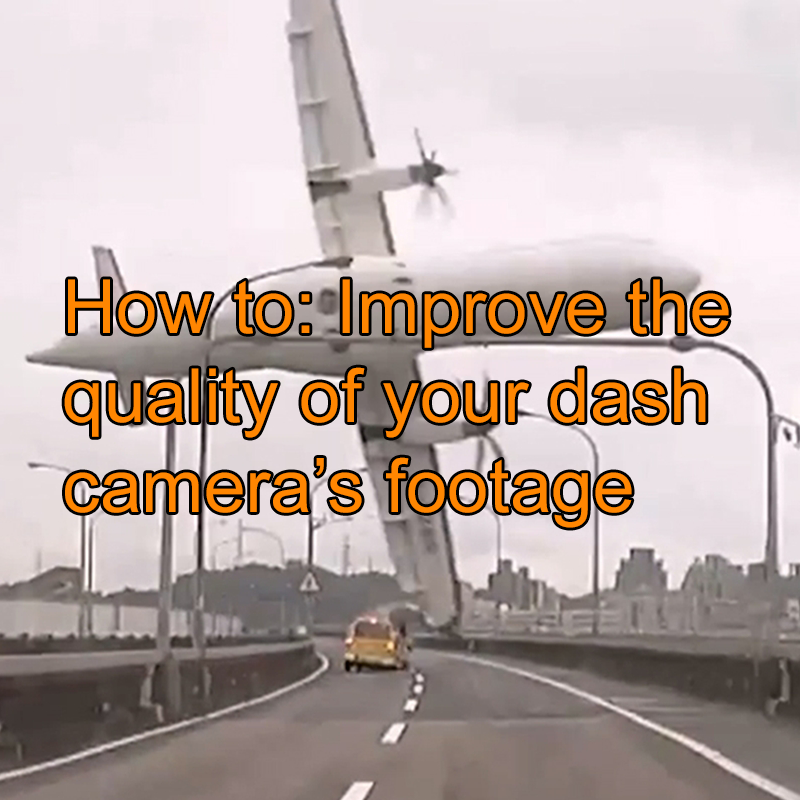 However, you certainly do not need to spend a lot to get a quality dash cam. Outlined below is what to expect when looking at each price point – budget, mid-range, premium – and whether it is worth paying the extra. 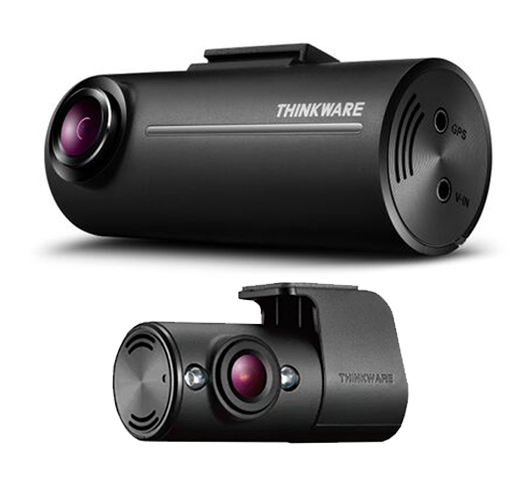 If you’re on a tight budget for your dash camera, look no further than the Thinkware F100, coming in at just £109.99 for the front only version, and £149.99 for front and rear. 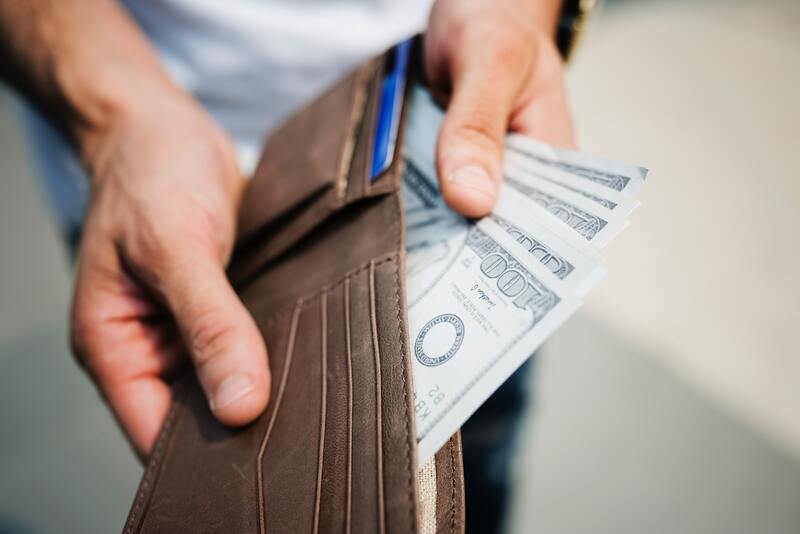 This camera proves that you don’t need to be spending large amounts in order to get a great product, however, it does lack some key features which many people will want. Along with these, there is an option to add a GPS antenna, enabling optional driver warning systems, and also an optional tamper proof case. The performance of this camera by no means resembles its budget price range, and should definitely be considered when deciding what is best for you. Although this camera has great video quality for the price, and has parking mode functionality when hard-wired to the battery of the vehicle, it is missing some key features such as built in WiFi, GPS and cloud accessibility. These improve the functionality of a dash camera drastically, so are worth looking into at the higher ranges. To see the Thinkware F100, click here. There are a lot of benefits in going for a mid-range dash cam. With the Thinkware F770-2CH, you get all the desirable features from the Thinkware F100, with a lot of extra functionality for only £239.99. 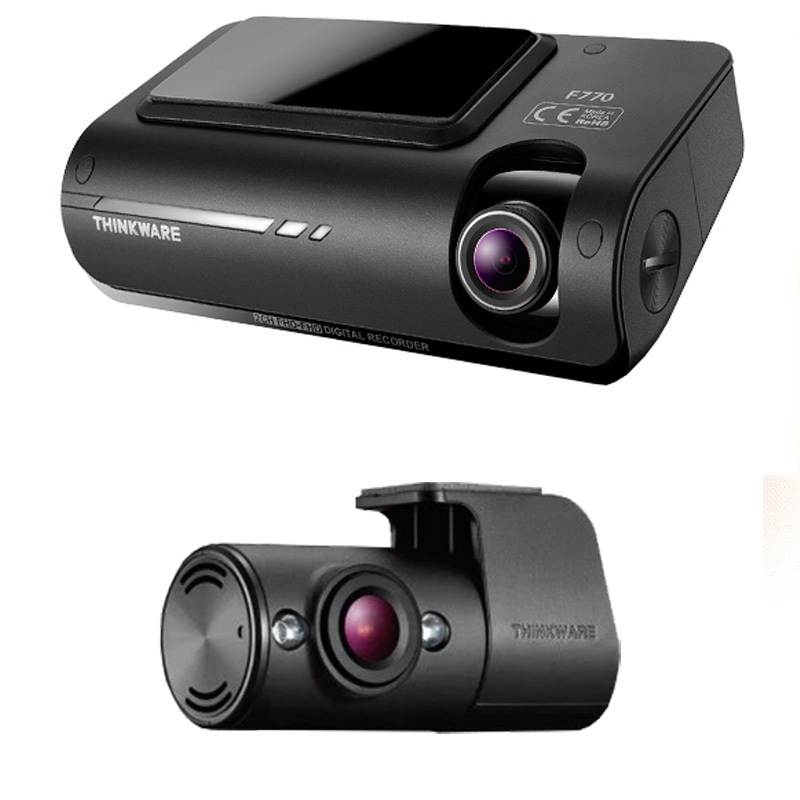 With Thinkware being a leading providor of dash cameras, the F770 is able to rival many of the more expensive cameras on the market. As you can see, there are several additional features you get from going up to the Thinkware F770. 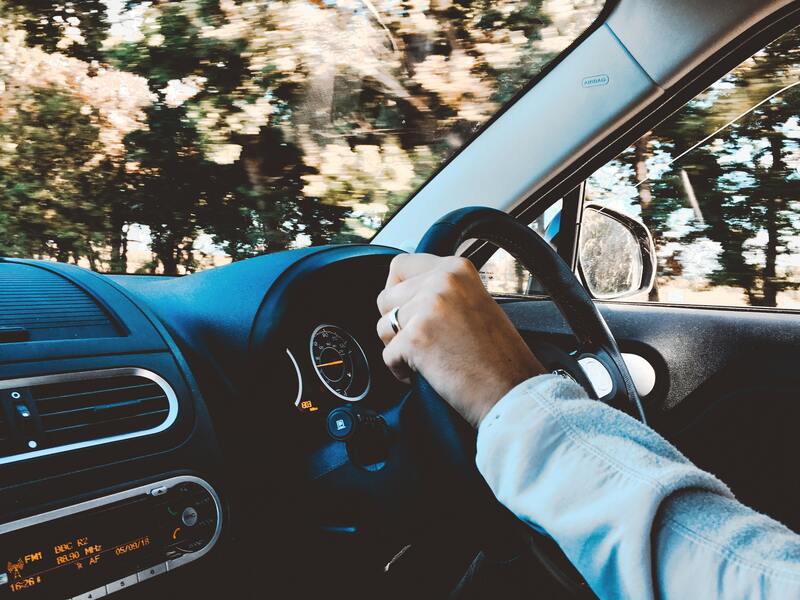 Built-in GPS and WiFi mean you can connect a smartphone to the camera, enabling you to review and download footage on your phone, and also track the location of your vehicle. This alone is an incredibly beneficial feature which greatly increases the usability and functionality of the camera, making the jump in price worthwhile to most people. For a mid-range, reliable camera with great features and a reasonable price tag, the F770 should not be overlooked. To see the Thinkware F770, click here. 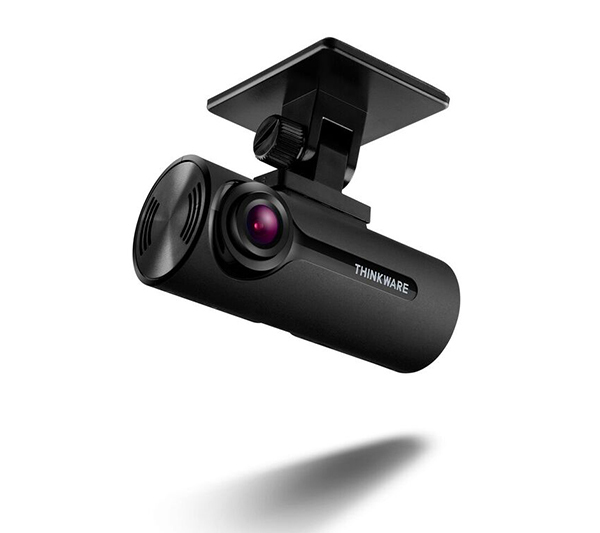 The BlackVue DR750S-2CH not only has all the features of a premium dash cam, but also looks the part too. Costing £349.99 for front and rear cameras, it has some impressive specs to back up the price. Unlike other cameras, the DR750S also has the option to become completely silent at all times, making it the best dash cam for driving instructors. Similarly to the Thinkware F770, this camera records in 1080p HD from both front and rear cams, and has the all-important build-in WiFi and GPS for video and tracking access through your phone. However, the DR750S boasts a Sony STARVIS image sensor, providing clear video in all lighting conditions. 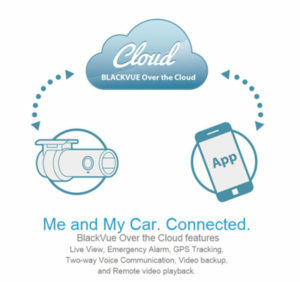 Another key feature of the BlackVue DR750S making it stand out as a premium dash cam is access to the BlackVue Cloud. This allows you to securely store any important video files onto the cloud, making them easily available when required. You will also receive mobile notifications when the camera detects an event, and you can even take a phone call using the dash cameras built in microphone and speaker. This is an incredible feature and one which is definitely worth the additional cost if it is going to be something of use to you. 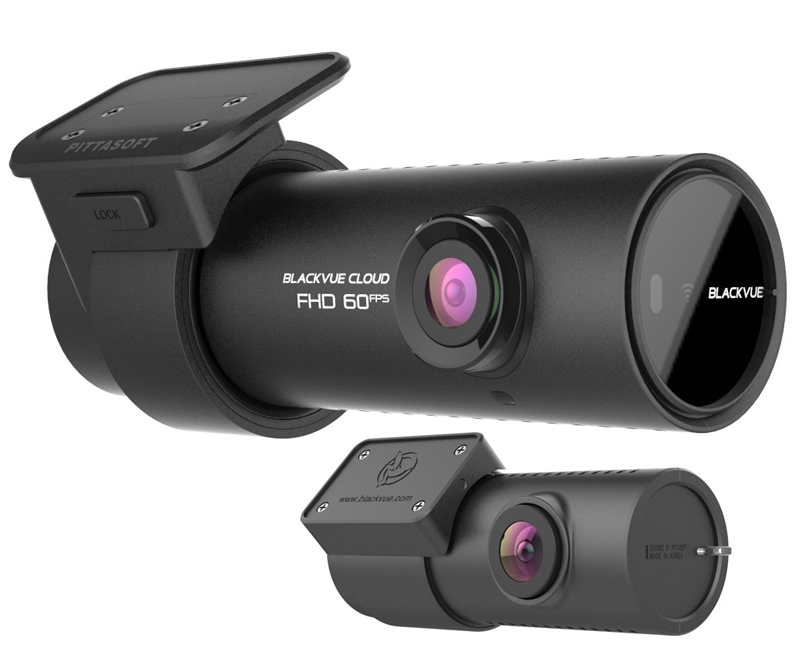 To see the BlackVue DR750S-2CH, click here. To see our full range of dash cams and installation options, click here. Alternatively, contact us using the form below or call 01865 599598 to speak to one of our experts. 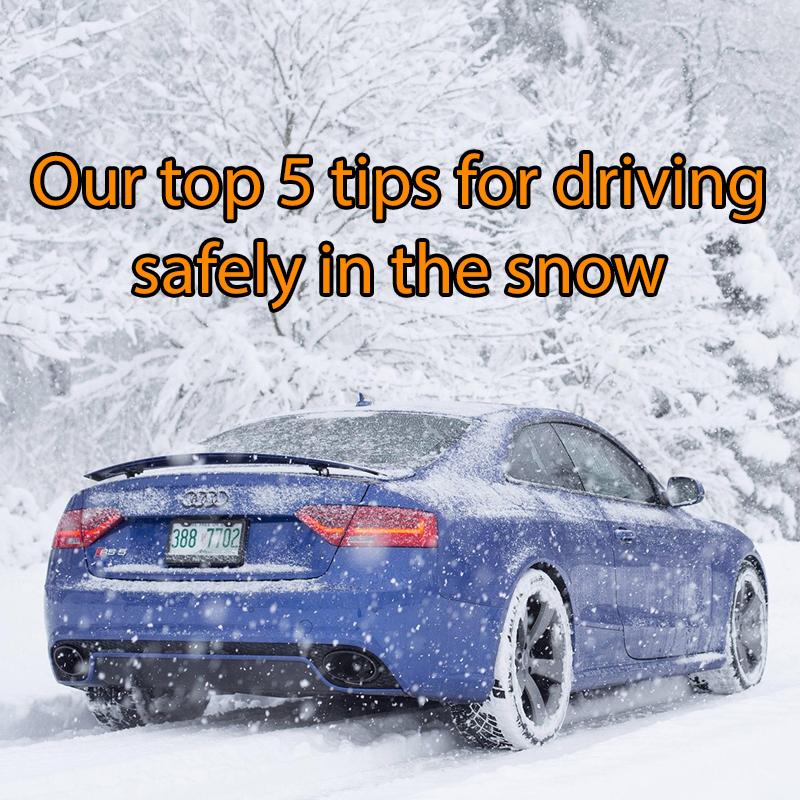 Driving can be a dangerous affair at the best of times but with the temperature plummeting below 0 and snow on the ground driving can become even more hazardous. It is advised that you avoid travelling in these conditions all together, unless it is absolutely necessary. Of course, we know this isn’t necessarily practical. If you do need to venture outside we want you to have the safest journey possible, which is why we are sharing the best advice for driving in snowy conditions below. 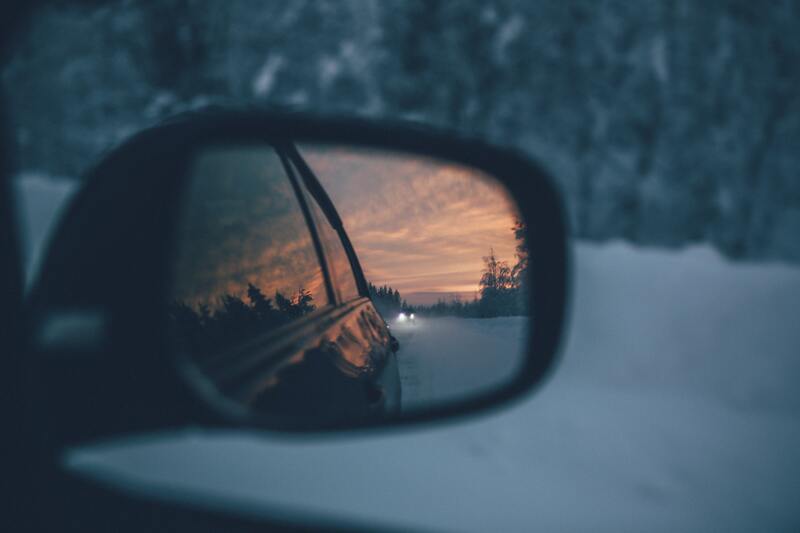 Preparing for the journey- Before travelling you should ensure that all snow is cleared from the windscreen, mirrors, bonnet and roof! This is to ensure you have an unobstructed view of the road but also to prevent the snow on you car flying off to blind other road users. Vehicle checks- Checking the amount of thread left on your tyres is a must, the minimum for this weather is 3mm. Having at least a quarter of a tank of fuel is essential when driving in this weather as you do not know when you will next be able to fill up. Safety equipment- Since journeys can be longer than expected you should ensure you have the following items in your vehicle: shovel, torch, blanket, jump leads, tow rope as well as some water and munchies. Drive smoothly- Pull away gently, if using a manual start in second gear to prevent your wheels from spinning on the ice. When Driving- Slow down, you should drive at a speed that is appropriate for the conditions of the road. Stopping distances can increase by 10 times when there is snow or ice so remember to leave a greater distance between you and the car in front. As previously mentioned, it is safer not to travel in these conditions. But if you are heading out for a drive please follow the above advice to ensure that you are as prepared for your trip as possible allowing for a safer journey. 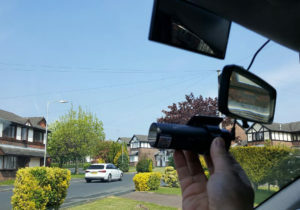 There are a variety of dash cams on the market today, ranging from simple cameras worth £50 to high end cameras that have all the bells and whistles and cost £300. With such a difference in price there is bound to be a gap in quality, which is why we have compiled this list on how to get the most from your camera. 1- The best way to ensure your footage is the best quality is to ensure you purchase a camera that can record in at least 720P HD. Anything less than this will result in unclear footage and may not be able to be used in court. 2- Check th e settings of the camera. Most cameras will have an option for you to adjust the recording quality, you should always set the recording quality to a minimum of 720P at 30FPS. 3- Adjust the camera position. It is of the utmost importance that the camera is positioned in the correct place, otherwise if an accident occurs and the camera is pointing at the sky, your evidence is gone. You should make sure the camera is as central and as high as possible. 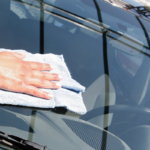 4- Keep the vehicle clean and tidy. By keeping the windscreen clean and ensuring there is no clutter in front of the camera it will improve the video quality. The last thing you want to see when looking for evidence of an accident is that air freshener or dice hanging from the mirror unit. 5-Use a high quality SD card. 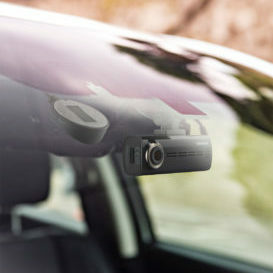 We recommend using a class 10 SD card as these are best suited for the high-intensity use it will have inside a dash cam. Alongside this, you should format the SD card at least every three months to ensure it is functioning correctly and there are no corrupt files. 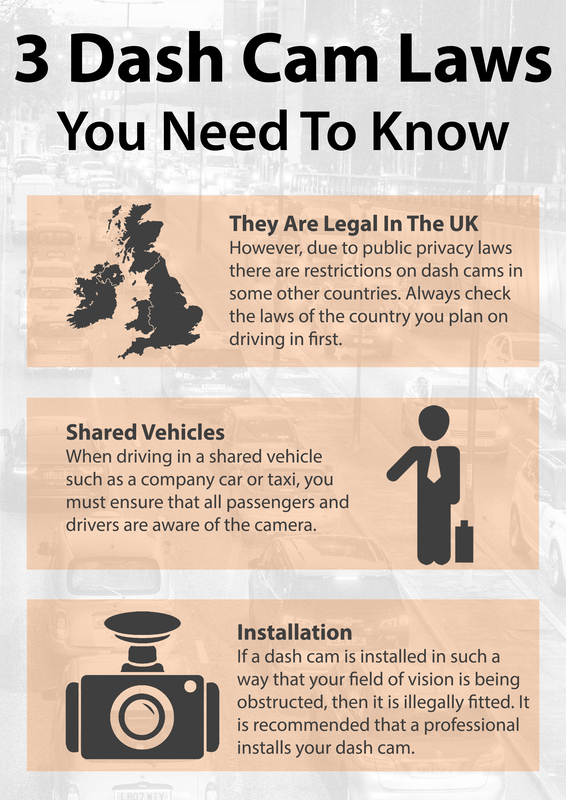 By following these 5 points, your dash cam will record high quality, clear footage of any incident that happens in front of the camera. You will also be able to send this evidence to the police and it is court admissible. 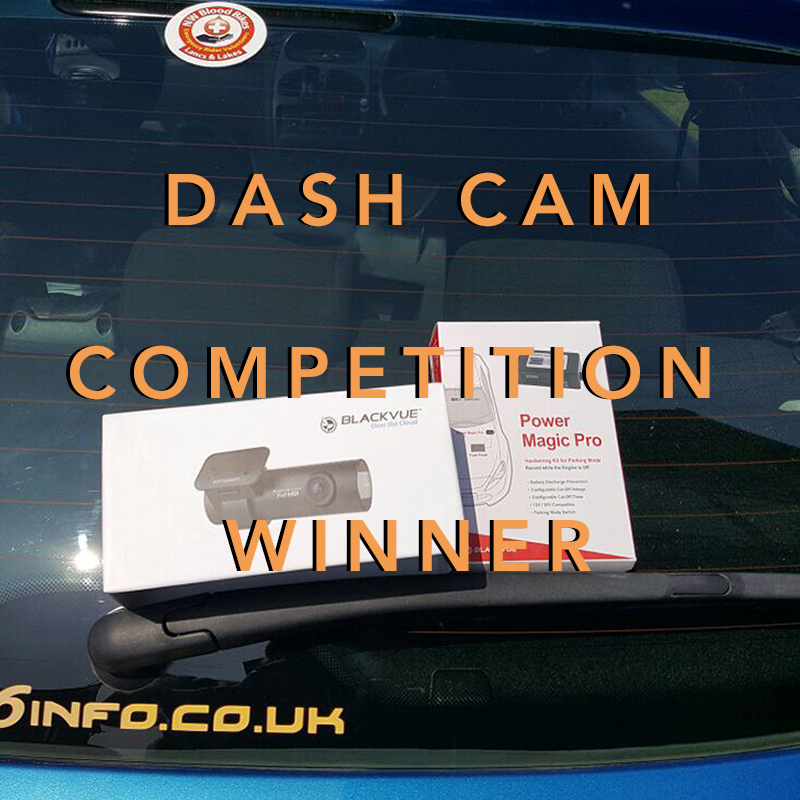 Many congratulations to Neil McCall, the winner of our recent dash-cam giveaway competition. 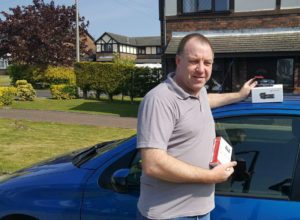 Neil was selected at random by computer and took delivery of his prize last Friday when our nationwide installation team visited him at his home in West Heaton, Manchester. He is now the proud owner of a Blackvue DR650S and a Power Magic Pro hard-wire kit. 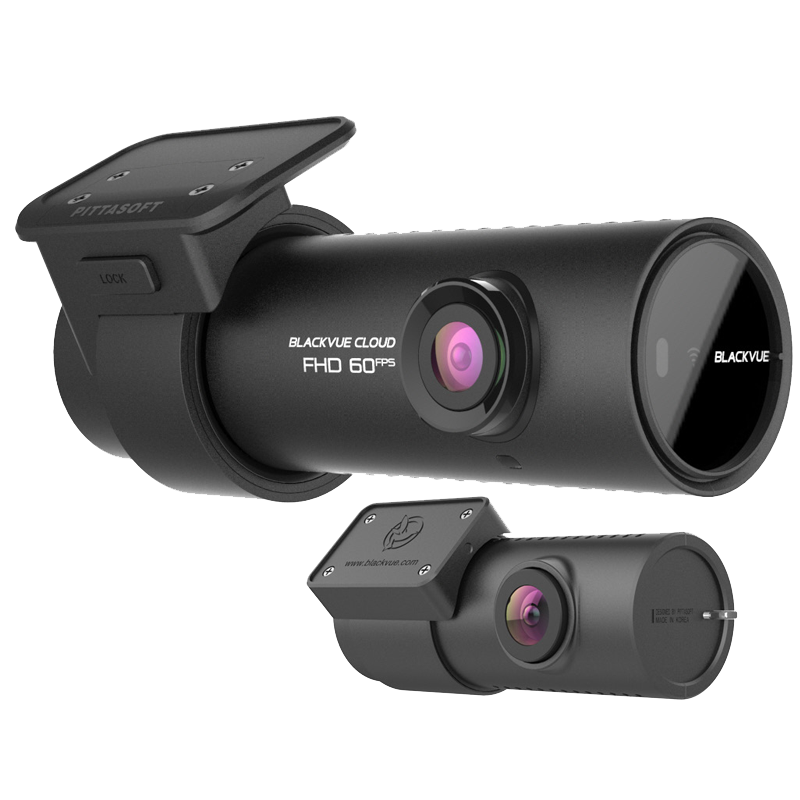 The DR650S is a stylish forward-facing 1080P dash cam – a high-performance camera that is one of the best available in terms of recording quality with full HD capability. It also has a variety of useful features such as cloud technology, built-in WiFi and GPS. Couple this with the Power Magic Pro hard-wire kit, a power-monitoring unit which prevents discharging of the vehicle battery, then you have a pretty robust camera system for your car. As part of the giveaway prize, Neil was also lucky enough to have the whole system installed for him. As you can see from the photograph here, once in place the DR650S offers a very discreet and stylish solution to an on-board camera. Drivers who are caught speeding on or after April 24th will face harsher penalties that will be based upon how much you earn. The new rules mean that you could face a penalty charge of up to 175% of your weekly income! At the moment, the minimum penalty for speeding is a £100 fine and three points on your license. Whilst the maximum fine is £1,000 or £2,500 for motorway offences. With the new laws, anyone who is going between 31 and 40mph in a 30mph zone will get three penalty points and a fine of between 25 and 75 per cent of your weekly income. For those who are caught travelling at more than 101mph in a 70mph speed limit you could be disqualified for up to 56 days or receive 6 points on your licencse and get a fine of between 125 and 175 per cent of your weekly income. 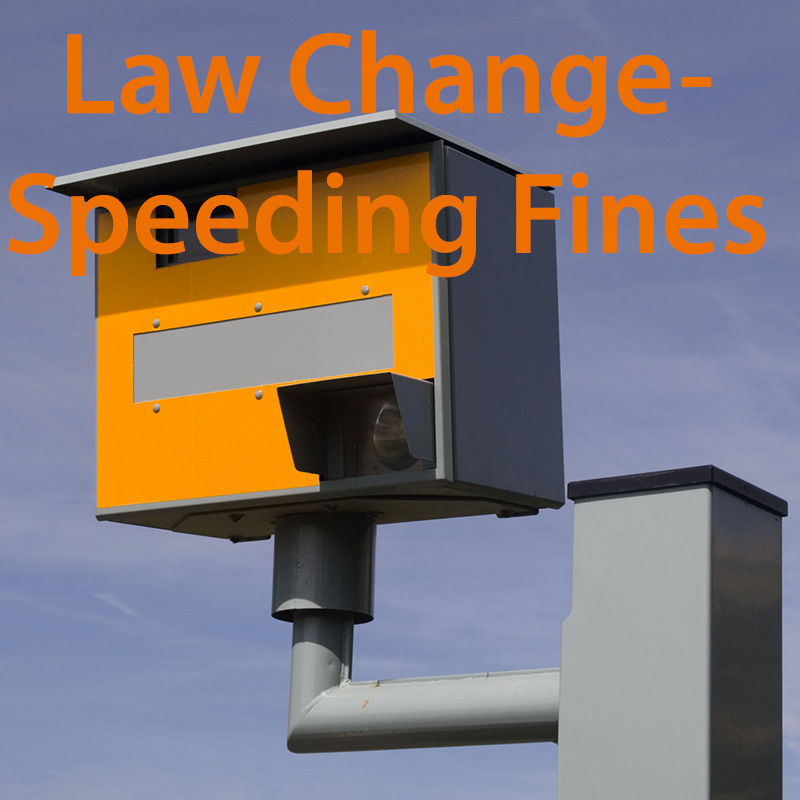 The changes are a result of speeding offences increasing every year from 2011. Since 2011 the number of speed awareness courses has increased from 772 to 1,216. This statistic is from the Department for Transport statistics. 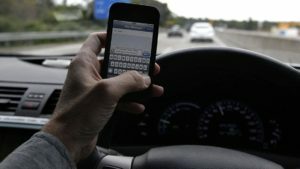 Read our article on mobile phones and driving. 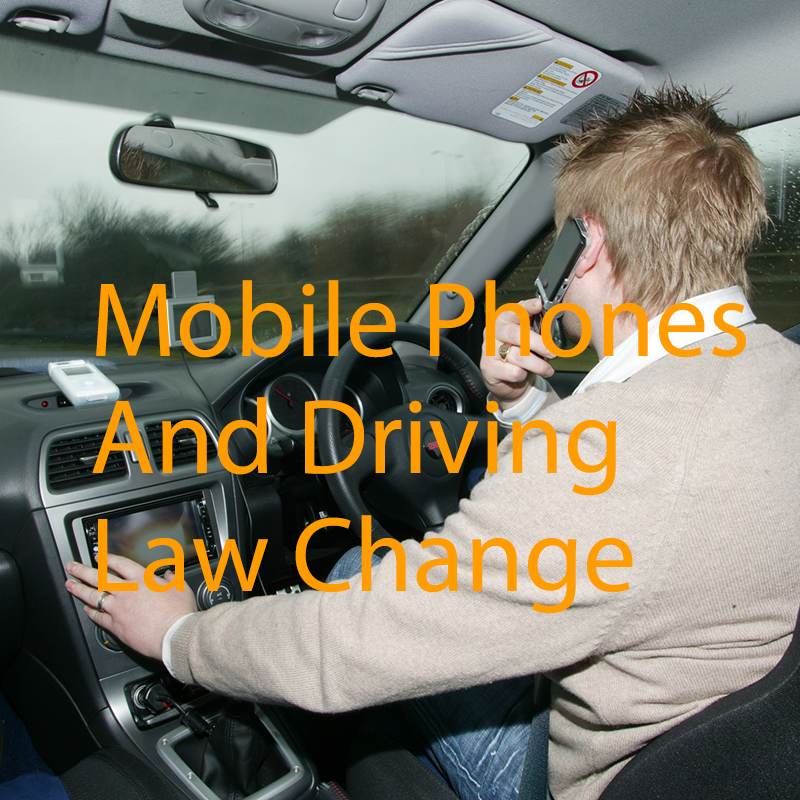 to find out the full information on the new laws regarding the use of mobiles when driving. To celebrate our partnership with Ambit, we are hosting another dash cam giveaway! 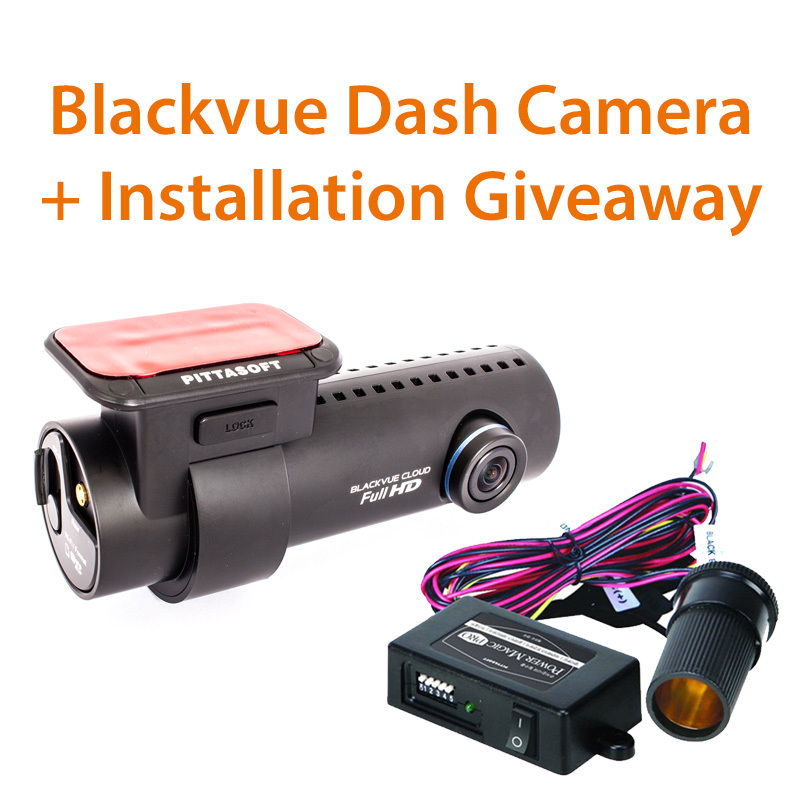 The lucky winner will get themselves a BlackVue DR650S-1Ch dash camera, power magic pro hard-wire kit and a professional installation. 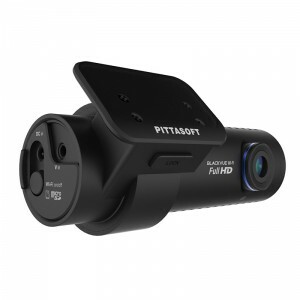 The BlackVue DR650S-1Ch is a 1080P full HD front facing dash camera that has Wi-Fi and GPS built-in. This is one of the highest quality cameras available and our best selling front only camera. Alongside the camera, is the power magic pro. This accessory is needed for the camera to be hard-wired into the vehicle, allowing for parking mode to be used as well as allowing the cables to be hidden. The professional installation will be performed by one of our fully trained auto-electricians, who will arrive on time, at the date, time and location agreed before hand. The engineer will perform the installation to the highest standard and ensure all cables are out of sight. To enter our dash cam giveaway all you need to do is fill out your full name and email address here. The competition will last until April 30th at 11:59PM and the winner will be drawn on May 1st. Read the full terms and conditions of this giveaway. Ambit is a community of those who look after workplace vehicles and anybody who drives as part of their working life. Ambit enables collaboration through connecting people and driving related resources. Find out more about Ambit today. From today, the law on using a mobile whilst driving is changing in the U.K, this will increase the punishment given to those who are caught using a mobile device when driving. The news of this law change has been greeted by much support from a variety of local police forces and general motorists alike, with both hoping this will create safer roads and less accidents. The points and fine you receive if caught using a mobile device whilst driving will be doubled, going from three points and a £100 fine to six points and a £200 fine, along with this there will no longer be an option to go on a driver retraining programme. These new consequences mean that everyone who has held their driving license for less than two years will automatically have their license revoked if they are caught using a mobile when driving. For those who have held their license for longer than this are left with only six more points to accumulate in a three year period before they lose their license as well. We hope that these changes will act as a serious deterrent and lower the amount of people who use mobiles whilst driving.